Locally based banks that take deposits from and make loans to the community form the lifeblood of many regional economies, and yet these institutions have only recently secured a voice in the national debate on financial policy. That was the view from Janet Garufis, CEO and president of Santa Barbara-based Montecito Bank & Trust, in a Sept. 6 talk at CSU Channel Islands. In a wide-ranging discussion with CSUCI Business and Economics Program Chair Bill Cordeiro, Garufis touched on her career as a banker, Montecito Bank & Trust’s business model and Dodd-Frank banking regulations. She also made the case for community banks to regain some regulatory freedom to allow them to meet the lending needs of small businesses and entrepreneurs. With about $1.1 billion in assets, Montecito Bank & Trust is among the top 10 percent of community banks in the country, as ranked by size. The bank is privately owned by a single shareholder, real estate developer Michael Towbes. “His vision of what community banking was and ought to be — that was something I immediately connected with,” Garufis said. She has been the chief executive at Montecito Bank & Trust since 2006, following a brief hiatus from banking to return to graduate school for her master’s degree and doctorate. Garufis said she grew up wanting to be an educator and studied English in college. But she paid her way through college by working as a teller at Security Pacific Bank in Los Angeles, and upon graduation decided there were better career opportunities in that field, and that she actually enjoyed the relationship-building aspect of banking. She worked her way up into positions of increasing responsibility and was selected to attend the Pacific Coast Banking School, a management training program for bankers, at the University of Washington. She then helped Security Pacific National Bank build up a small-business loan portfolio, and when that lender was sold to Bank of America in 1992, Garufis helped it build out a national credit portfolio. But Garufis said working at a big bank “wasn’t a good cultural fit.” She felt that the relationship side of banking was missing at a larger institution. “I didn’t want to work somewhere where someone comes in for a loan and their paperwork is mailed off to North Carolina, where the decision is made,” she said. 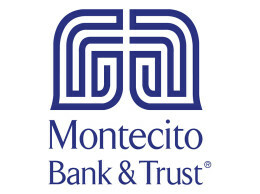 Montecito Bank & Trust, then called The Bank of Montecito, was founded in 1975 in Santa Barbara by a group of area business people, including Towbes. Several years after its founding, Towbes bought out the other shareholders and became the bank’s sole owner. He went on to convert the bank from a C corporation to a sub chapter S corporation, a change that Garufis said has given the institution freedom to operate in a way that a larger or more public bank may not be able to. For example, for 10 years, Montecito Bank & Trust has given $1 million to community groups each year through its Community Dividends program. Its employees are encouraged to volunteer in the community and to sit on nonprofit boards. Garufis said it’s all part of “telling the bank’s story,” which now includes its status as the oldest community bank in Santa Barbara, following the buyout of Santa Barbara Bank & Trust by San Francisco-based Union Bank in a $1.5 billion deal last year. Garufis said that after she joined Montecito Bank & Trust, she worked hard to get the bank’s name out into the community. Branding isn’t always about paid advertising, she said, but can be as simple as having employees who are actively engaged in various nonprofits or community groups. Garufis said she also set out to define the bank’s services and products. It now has a substantial wealth management department and continues to be a small-business lender as well as depository institution for the community. 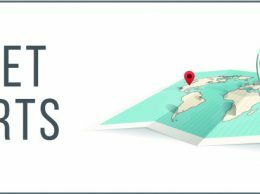 The bank has nine branches between Westlake Village and the Santa Ynez Valley and about 200 full- and part-time employees. Banking regulations in the wake of the financial crisis have tightened significantly, she said, and often community banks are squeezed by rules that were intended to control wrongdoing at mega-banks.